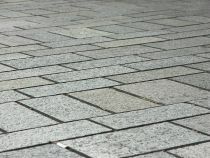 For those of you that are not familiar to the concept, paving tiles are made of stone, concrete or clay; they are thin pieces and cut in different shapes and sizes. 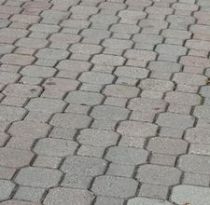 You can use them to resurface the pavement or asphalt. Also, they can hide flaws and won’t raise problems for the door clearance. 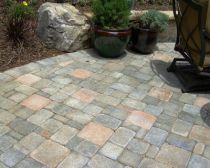 With tiles you can pave porches, patios, walkways, form a border around elements from the garden like a fish pond. Due to their surface on which you can’t slip they are great for the pool or hot tub surrounding area. 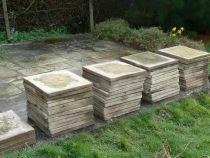 Use them in spaces with special shapes because the tiles can be cut easily. The design of the tiles is a large palette of forms like circles, hexagons, diamonds or rectangles. Rectangular tiles with 90-degree angles give the impression of a larger space. The ones with a 45-degree angle make the space noticeable. If you have a large area to cover, try using different patterns to create an interesting visual. 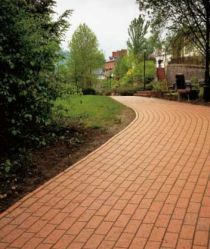 Tiles can be set in mortar or coarse-grit sand. Make sure you have the site leveled and compact if you have a gravel base. If you work with coarse, apply a thin layer of it on the bottom of the tiles and place them using edging restraints. 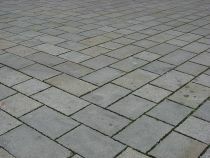 If the surface that will be covered is made out of concrete or asphalt, scrub it to make it clean. 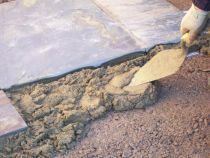 The mortar used in a thin coat and a layer of bonding adhesive will suffice in holding the tiles. Work fast so that the mortar won’t dry out and level the next tile. Tiles are damaged by the frost and water. To protect them and keep them in a good condition, cover them with a penetrating sealant, every two-three years. It is a very good solution because it makes the water drain away from the tiles and fills porous surfaces, making it easier to clean.